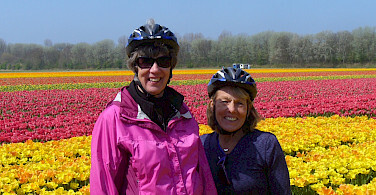 A bike and boat tour during peak Tulip season! 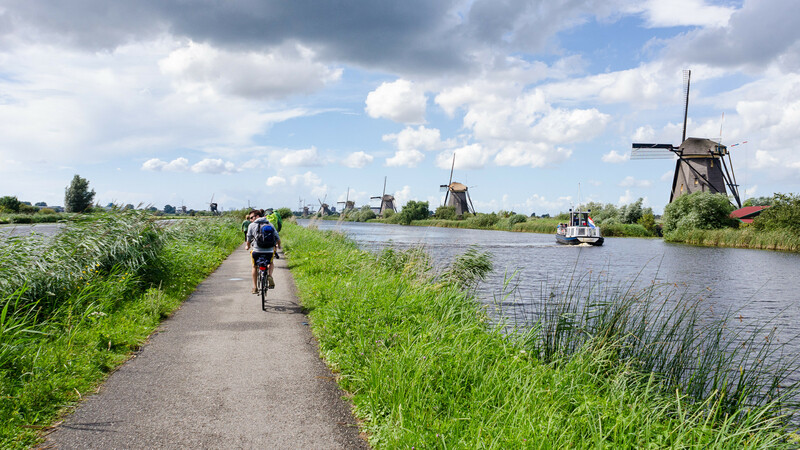 The tulip has come to be a respected and treasured symbol in Holland and this seven-day bike and boat tour lets you experience them in all of their glory! 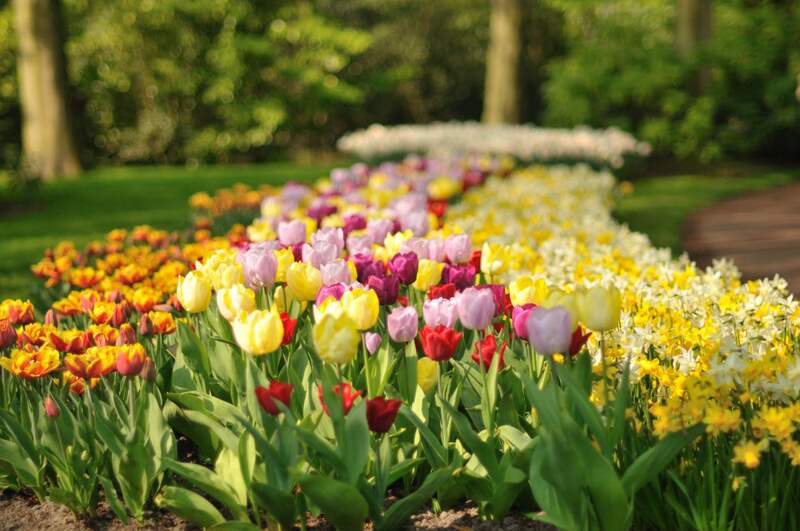 The flower exhibition in Keukenhof will bring you up close and personal with these majestic flowers (and others! ), and in Baskoop, you will cycle passed hundreds of horticulture nurseries. 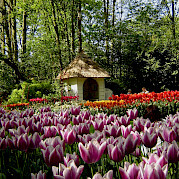 The tulips are only a fraction of what can be seen on this tour, though. 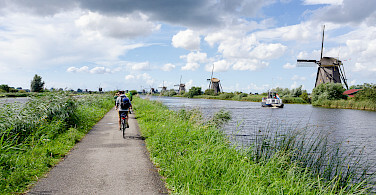 Be sure to check out all of our Bike and Barge tours in Holland. Single bookings limited and on request. Fly to Amsterdam International Airport, also known as Amsterdam Schiphol Airport (AMS). 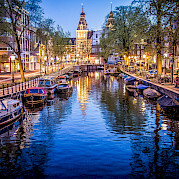 From AMS airport, it is just a short train ride to Amsterdam Central Train Station, close to the center where the ship is moored. There is a direct train that leaves 6 times per hour from the airport to Amsterdam Central Station. It takes about 16 minutes. The price for a train ticket Schiphol-Amsterdam Central is € 4,20 per person for a single journey. Sometimes the mooring location is within walking distance or only a short taxi ride away. In your final travel information, we will also provide details regarding public transportation if necessary. The Dutch have a saying "April doet wat hij wil". It means that April does whatever it wishes to do. Keep this in mind as you pack for your cycling holiday. Though cooler in April, the sun does shine on average 177 hours. Average high temperature is 55° F (12.8° C) and average low is 38° F (3.3° C). April is normally the driest month of the year but that does not mean it does not rain. Average rainfall is 1.8 inches (47 mm). Rain showers are common and frequent but not long. Plan to dress in layers! Electric and tandem bicycles are available for €25 per day in 2019. Helmets are available free of charge. Tandem will not be available in 2020. 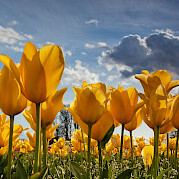 Please note: tulip season in Holland extends from the end of March to the middle of May but peak blooming time is dependent on temperatures and the weather. 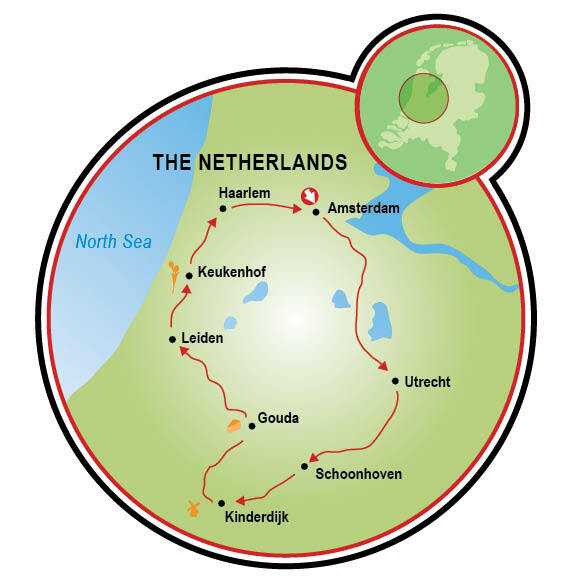 This tour is an easy, guided tour in Dutch cycling paradise! 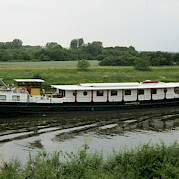 The Merlijn will be docked in Amsterdam, behind the Central Station. Please check in by 4 PM. You can leave your luggage on board beginning at 10:30 am. 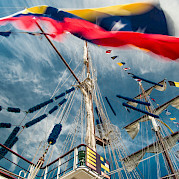 After a welcome drink, there will be an informational presentation of the ship and a short tour. By 4:30 pm, the ship will begin its journey to Utrecht; dinner will be enjoyed along the way. Utrecht features many ancient buildings and structures dating back to the early Middle Ages. It has been the religious center of the Netherlands since the 8th century and is home to the tallest church tower in the Netherlands: The Dom Tower. In the evening, you will be able to explore this breathtaking city. 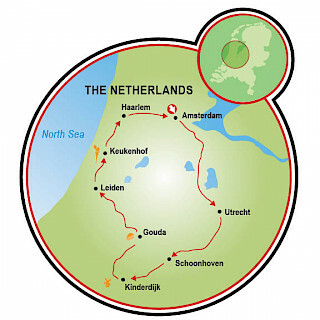 Today you cycle Holland through the prettiest part, by far. 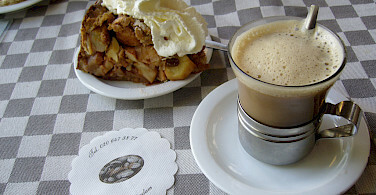 Breakfast will be served while cruising to Vianen, where the bike tour will start to the charming city of Schoonhoven. 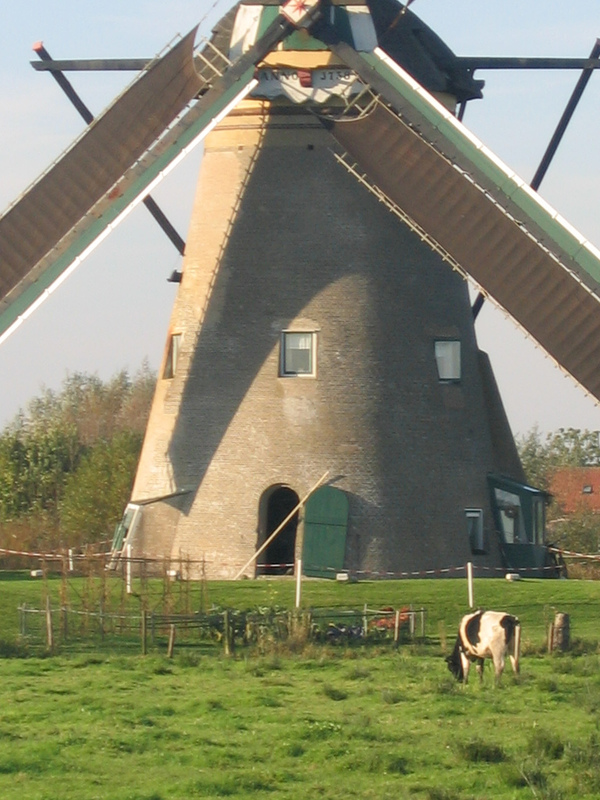 Schoonhoven is renowned for its silver, hence its nickname Zilverstad ("Silver City"). Silversmiths have been present here since the 17th century and the trade is still thriving today! 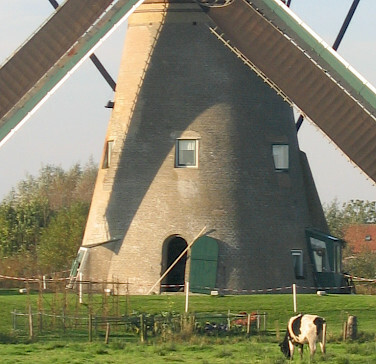 You will get to enjoy the gorgeous Dutch scenery while sailing on the river Lek and biking from Schoonhoven to Kinderdijk, home to an impressive 19 windmills, built around 1740, to drain the polder Alblasserwaard. They are a well-known tourist destination and have been a UNESCO World Heritage Site since 1997. The Merlijn awaits here to sail on to Gouda. Today's bike tour takes you through the Green Heart of Holland. 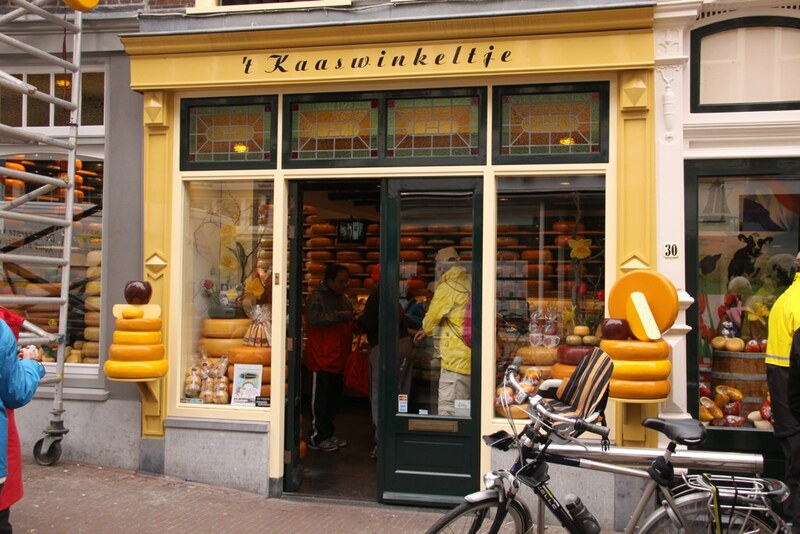 Leaving Gouda, you will pass Baskoop, famous for its horticulture nurseries, particularly woody plant and perennial nurseries, of which some 774 are situated on long stretches of land divided by narrow canals. 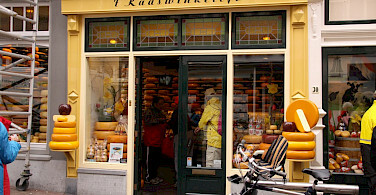 Passing small towns and villages such as Alphen on the Rhine, you will finally reach Leiden. 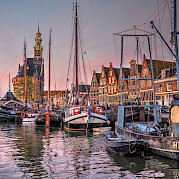 Leiden is a lively city where history comes alive. 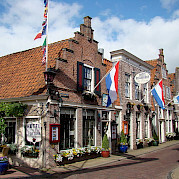 Birthplace of painting legend Rembrandt, it is where he developed his skills and his workshop can still be visited today. The University of Leiden contributes to the vibrant and convivial atmosphere and is quickly developing into a world-famous center of science. You will get a chance to stroll through this magnificent city after dinner. 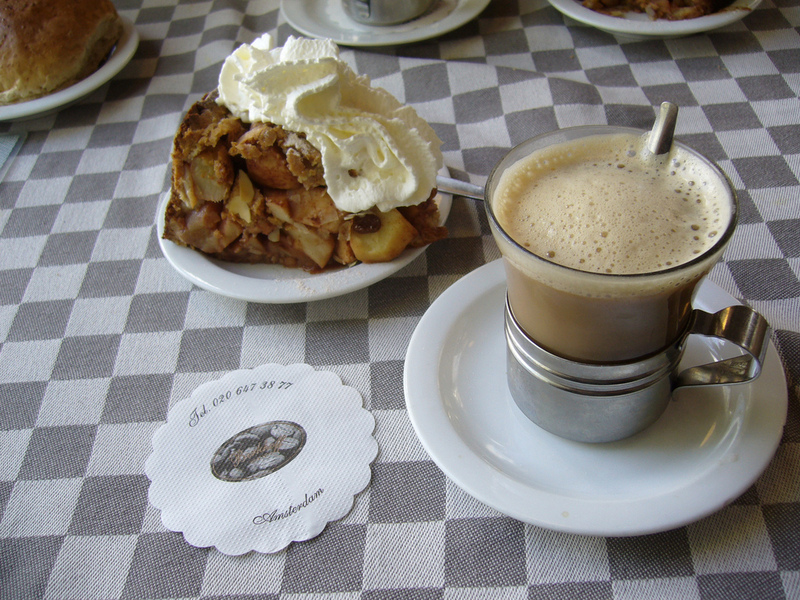 While you enjoy breakfast, the Merlijn will cruise into Lisse, near Keukenhof. 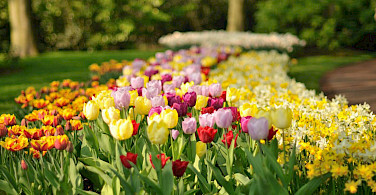 It is estimated that nearly 7 million flower bulbs are planted here annually to cover an area of roughly 80 acres. This makes Keukenhof, easily, the largest flower garden in the world. At this stop, you will get to admire all these beautiful tulips and other flowers. 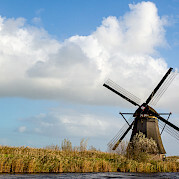 On the ride to Haarlem, you will witness even more of Holland's beautiful countryside and of course, more flowers! While in Haarlem, it is a must to take a stroll through this historical city and maybe try the famous local beer: "Jopen". Dinner tonight is on your own in one of the many restaurants in Haarlem. 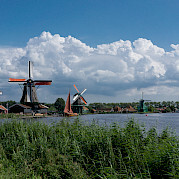 Today’s bike tour will be from Haarlem to Amsterdam, along the Zaanse Schans, famous for it’s windmills and green wooden houses typical for this area. 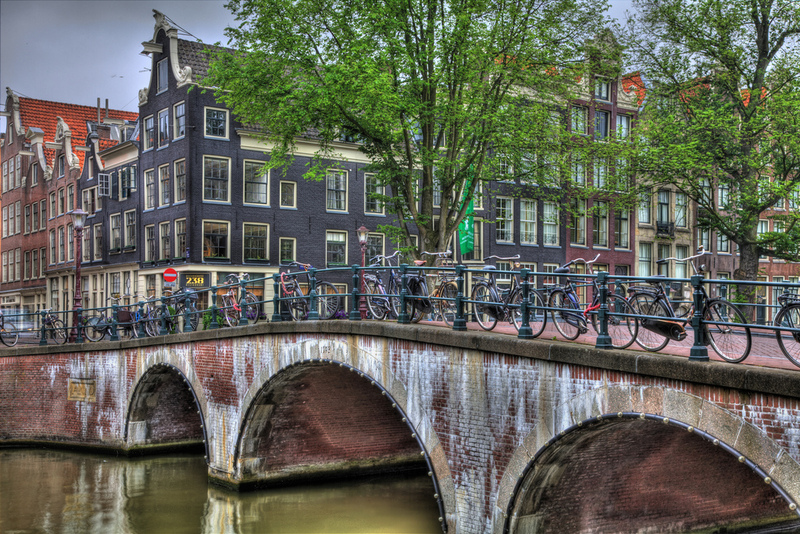 The tour ends in Amsterdam, where you can visit the Van Gogh Museum or the Rijksmuseum. After dinner, there will be time to walk through Amsterdam's stunning illuminated centre, don't forget to take a ride through the beautiful canals! Farewell breakfast, check-out, and departure. This tour is run by Tripsite in cooperation with Coen van der Vlies. Our guide and crew were the best! "The Merlijn Rocks!" Our group was so compatible...It was like traveling with family. The scenery and experiences were so beautiful and to be one with your natural surroundings while on a bike was an added bonus! Most Memorable Part? 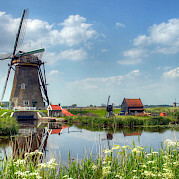 Cycling in the warm spring weather seeing the fields of spring bulbs in bloom with windmills almost always in view. Exceeded my expectations. Best value for great experience. 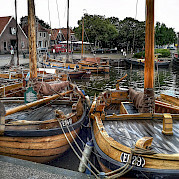 Our boat, the Merlijn, and its crew were fabulous! A huge thank you to Jantien and Henk for an amazing weeklong experience! This is the way to see The Netherlands! 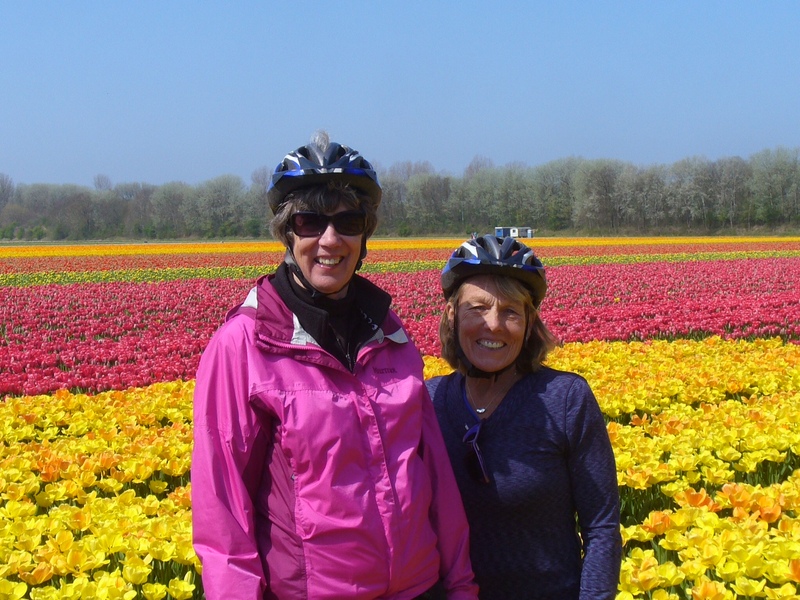 We rode bikes from one port to another, exploring the countryside, meeting local families, enjoying the beautiful fields of tulips, daffodils and hyacinths, purples, reds, yellows flowing across the land. Our hosts fed us 3 wonderful meals a day, and gave us opportunities to explore each city in the evenings with our knowledgeable and dedicated guide, Ferry. We stayed a few extra days to learn all about Amsterdam as well, which was definitely worth it. So much to see and learn about. 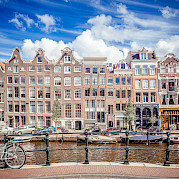 Tripsite did a great job of organizing this trip, from efficient email contacts, timely billing reminders, and tips for preparing for a unique trip such as a Bike and Barge in Amsterdam. Absolutely we recommend Tripsite, and the Merlijn in particular! We did the Tour of Tulips of last day 8 April 2017. Our group was of 9 brazilians and the compliments were unanimous. The boat is amazing, very cozy and comfortable, the food delicious and the wonderful staff. Our guide, Lia, was extremely professional, attentive and available. The bike tour was really indescribable. We’ve been through wonderful places and we could learn a bit from Netherlands and its charms. I would like to especially thank Jantien and all the care and attention with which she dedicated to me, when I hurt my ankle. Thank you for everything Jantien! We hope to see you soon in another bike tour. Big hug ! We had a blast on this trip! My first Bike and Barge through Tripsite. Our captains, Hank and Yantine, made us feel like part of the family. The boat was very clean and we loved the table designs at each sitting! Our guide, Francine, made us feel very welcome and really went out of her way to provide us friendly travel tips as we continued on our journey! Thanks for such an awesome time! We had a super time. My only suggestion is have a snack for post bike ride and pre dinner. We arrived starving so that would be great. Otherwise this was just an amazing way to see Europe. We had a total of six people who we traveled with. All had a positive option of he barge and the bikes. The owners, Hank and his wife gone over the top to make sure everyone had a good time and responded to any issues or problems. Our bike tour guide was outstanding and explained many of the sites. Great value. The only comment I have is "I want to do another bike and barge trip." I had a wonderful time and will recommending the trip to others! I had never worked with Tripsite before. Their competent planning received a high score. All details were covered, everything was first rate. They delivered what they promised, now isn't THAT great?!! I'll remember this fab trip my whole life through. Listen up, fellow travelers, Tripsite's for you. I have booked a couple trips through tripsite.com and frequently recommend them to my friends. What separates Tripsite from the pack is their service, value and expertise. I am looking forward to working with them on my next adventure! Highly recommend Trip Site for our bicycling vacations. 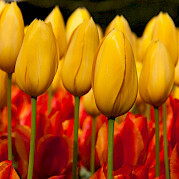 We, family and friends booked the Tulip Tour - Amsterdam to Amsterdam. Had a fantastic time again on the MERLIJN. Knew one week was not enough, after our 1st tour in 2011 in Germany, we had to book the following week also - Amsterdam to Brugge. The highlight of course were all the flowers in the Keukenhof. This is a must see for all flower lovers. Trip Site employees in PA were very easy to work with and will book all our tours for us. In fact we will return to the MERLIJN on September 27 to October 4th 2014 for wine country. This is a great way to travel in Europe. 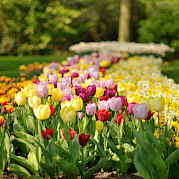 The flowers were beautiful at Keukenhof and the Merlijn provides wonderful accommodations! This was our second trip through Tripsite and we are going again. Amei o passeio!! Tudo foi maravilhoso, desde a recepção calorosa na chegada, o barco todo decorado de flores e tulipas, aconchegante, a turma que fez o passeio conosco, os jantares maravilhosos feitos pela chef de cozinha simpatissíssima (que é dona do barco), o guia Sietsen que é super 10, as paisagens maravilhosas que apreciávamos nas pedaladas - plantações de tulipas de todas as cores, cisnes nadando próximos de nós, patinhos e aves coloridas, almoço em frente aos moinhos, as lindas vilazinhas e as cidades bucólicas do interior da Holanda, tudo muito lindo, e mto bem organizado. À noite, ainda tinha a roda de viola que o colega Eric tocava divinamente! E todos nós cantando juntos! A turma toda calorosa, que parecia que nos conhecíamos há anos... só deu vontade de voltar. Ano que vem, quero fazer outro roteiro e já estou convidando as pessoas no Brasil. Read more… VALE A PENA, MARAVILHA, Parabéns pessoal da Tripsite, Daniella Pontes, muito atenciosa, que nos atende muito bem! Grande abraço a todos vocês! CONSUELO e JANUZA - BRASIL 2013. (Vitória - ES).